CF&S was founded in 1979 By Cleve and Ricky Frederick and pledged the finest in service and professionalism to the oil and gas industry. Today the tradition of excellence is being carried on by Cleve Frederick's sons Ricky, Robert and Terry. 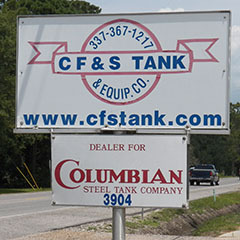 Located in New Iberia, Louisiana, CF&S is centrally located on the Gulf coast and conducts business in all the surrounding states and the Gulf of Mexico. CF&S serves industry needs for bolted and welded storage tanks, ASME and NBIC Code fabrication and repairs primarily with new and reconditioned oil and gas production and process equipment. In addition, CF&S also provides roustabout crews, sandblasting and painting, heavy construction equipment, mobile cranes and specialty trucking services. 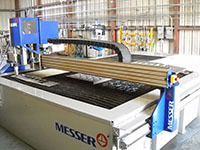 In order to better serve our customers, CF&S has added two CNC Mills and a CNC High Definition Plasma Arc Cutting Table. 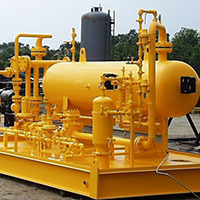 We are capable of designing and programming to meet customer requirements to the closest tolerances. Our machine shop personnel are trained and experienced for the highest quality service for you. Have an idea but don't know where to get started? Give us a call - we can help with your custom fabrication. From design to end product, our engineers and technicians can make your vision become a reality. Website owned and operated by Vince Comeaux LLC.